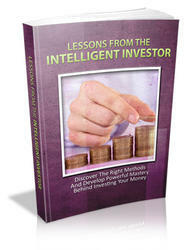 Real Option: A real option is an option on a non-traded asset, such as a investment project or a gold mine. 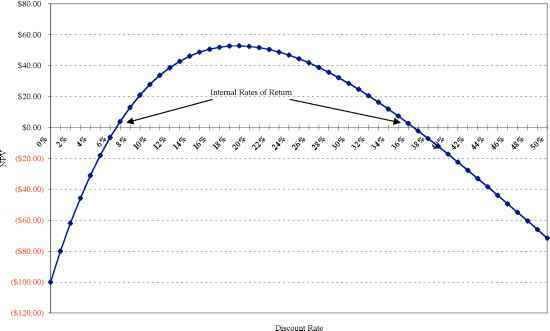 over time, however, and so does the net present value. 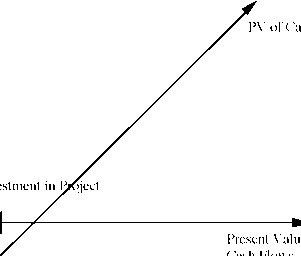 Thus, a project that has a negative net present value now may have a positive net present value in the future. In a competitive environment, in which individual firms have no special advantages over their competitors in taking projects, this may not seem significant. In an environment in which a project can be taken by only one firm (because of legal restrictions or other barriers to entry to competitors), however, the changes in the project's value over time give it the characteristics of a call option. Note that this payoff diagram is that of a call option — the underlying asset is the project, the strike price of the option is the investment needed to take the project; and the life of the option is the period for which the firm has rights to the project. The present value of the cash flows on this project and the expected variance in this present value represent the value and variance of the underlying asset.